A carefree skiing vibe has always been a part of Okemo’s master plan. 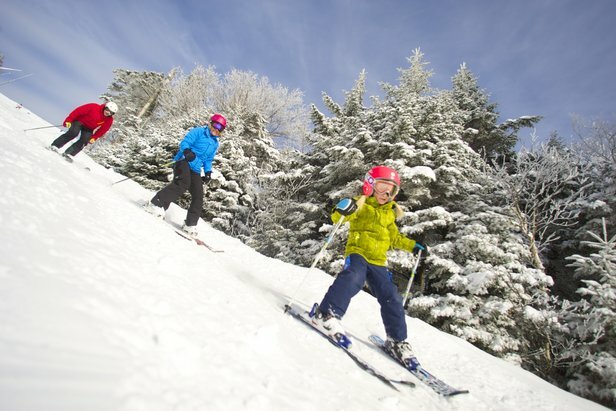 OnTheSnow readers hath spoken, and it looks like they’re spot on with their choice for North America’s best family resort—there’s no arguing that Okemo Mountain Resort is family friendly, first and foremost. The mountain’s ski lesson and child care programs run the gamut of ages, from 6 months on up and span the spectrum of abilities and interests. For families sticking together, one of the biggest Okemo standouts is its accessible terrain. Options for every level are available from the top of each chair, along with glades that will get you and yours comfortable tree skiing without the steepness, tight lines or obstacles that oftentimes accompany the experience. "Families love our big, wide swaths of corduroy and the gradual, rolling aspect of most descents," reports Bonnie MacPherson, director of public relations, Okemo Mountain Resort. "There's also a sense that you can't really get yourself into too much trouble at Okemo." That carefree skiing vibe has always been a part of Okemo’s master plan, MacPherson goes on, adding that for a challenge or change of pace, freestyle terrain featuring bumps, park and pipe is right there for the skiing/riding. Parents can feel safe letting kids of a certain age venture off on their own to find it. When it’s time to reconnect, family members can meet-up easily and cruise down to the Jackson Gore base area that’s spread out so that visitors won’t feel cramped or rushed. What they will find? 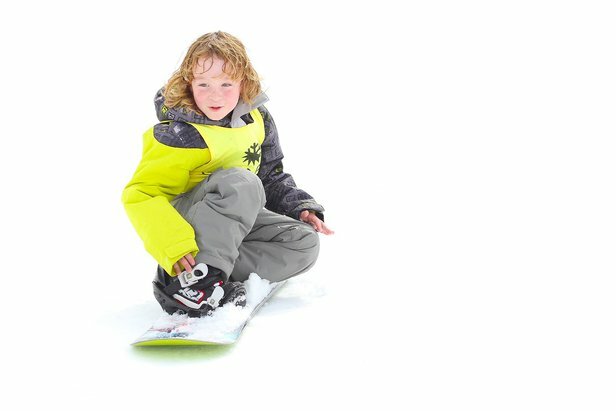 "The perfect formula of family-fun activities," says MacPherson, naming the mountain coaster, ice skating, swimming pools, fitness center, snow tubing, a snowplay area and fire pit as a few examples. Restaurants are upscale yet welcoming to families, with many farm-to-table or local options that appeal to all ages and appetites. "Then there's great programming," MacPherson goes on, mentioning events and après ski activities for families during holiday periods, such as nature presentations, snowshoe hikes, fireworks shows, live music and more.